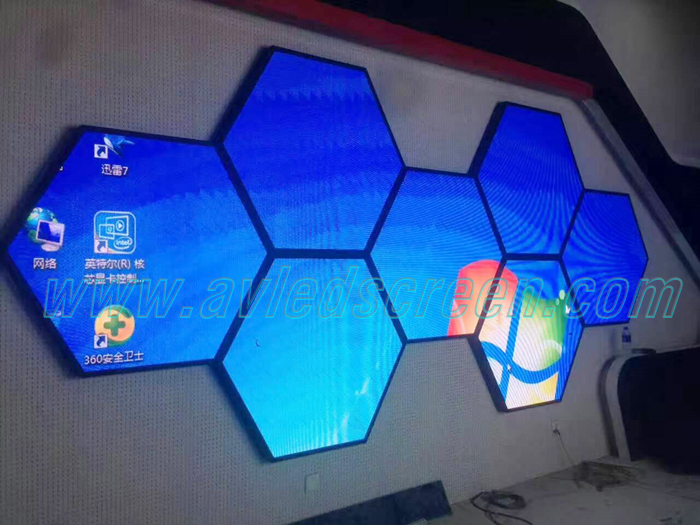 P3 Hexagon shape LED display is a new HD creative geometric led display. 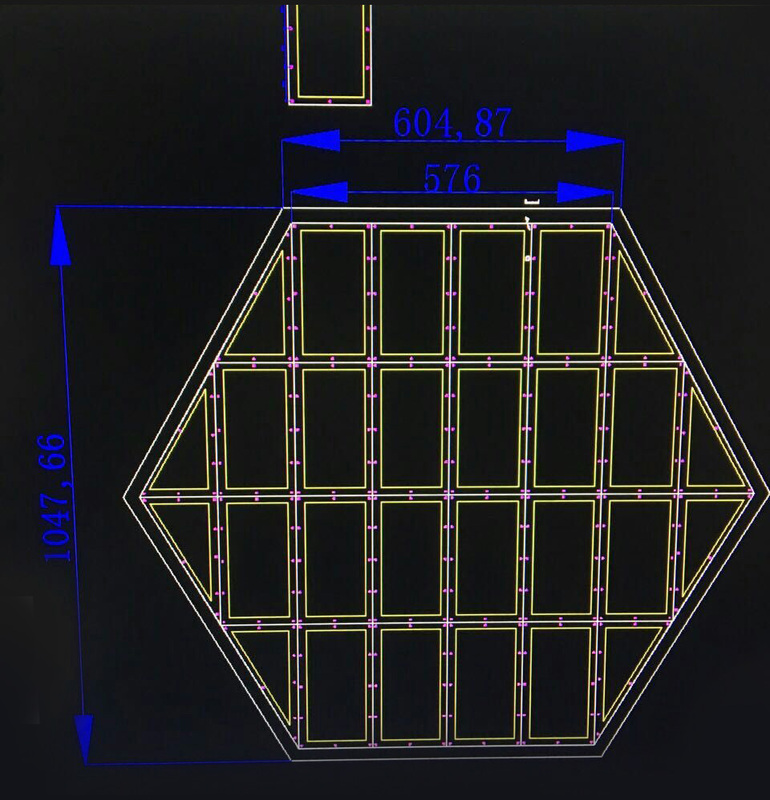 it uses high pixel density 3mm indoor led display and by designing several creative shape PCB LED modules to form a hexagon shape. Because hexagon shape is a basic geometric shape which can be used to form many different layout. 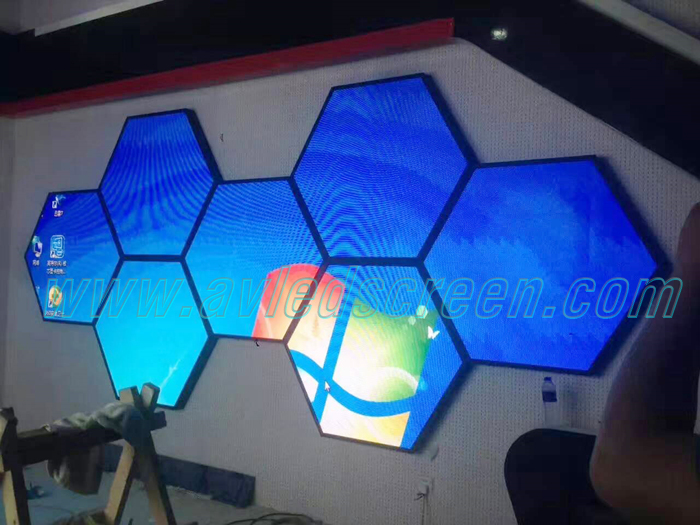 It can be widely used for indoor advertising, shopping mall led displays, nightclub led display design such as background wall, club ceilings, DJ booth and so on. 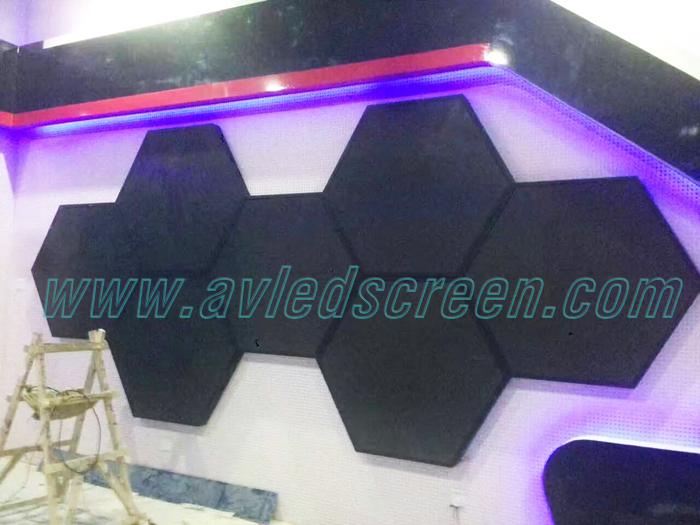 As a unique design, it can enhance the company brand acknowledgement, and a decoration or advertising tool, it is very stunning and eye-catching.